HomePoliticsElizabeth Warren Is Running an Ideas-First Campaign. Will It Work? March 19, 2019 Politics Comments Off on Elizabeth Warren Is Running an Ideas-First Campaign. Will It Work? The Mississippi Delta isn’t a typical stop on the Democratic presidential primary circuit. But there was Senator Elizabeth Warren, winding her way through a neighborhood of worn-down shotgun houses in Cleveland, Miss., this morning. 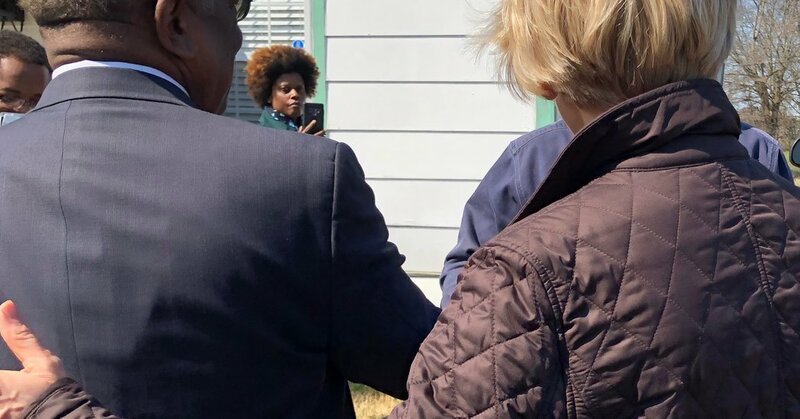 “It won’t leave my mind and it won’t leave my heart,” she told Willie Simmons, a state senator who was giving Ms. Warren a tour, as we walked by burned-out homes, trash-filled yards and empty lots. The last time a major presidential candidate stopped in Cleveland was 1967, when Robert F. Kennedy came as part of his national poverty tour, Mr. Simmons said, explaining how much he appreciated the opportunity to show a political star the need in his community. Ms. Warren isn’t leading the polls. She’s not dominating the political conversation. And she’s certainly not collecting the most money. But what’s clear from spending some time with her in the Deep South is that, for better or worse, Ms. Warren and her team are running the campaign that they believe the country needs. While former Vice President Joseph R. Biden Jr., who’s expected to enter the race next month, has said hedge fund managers are not “necessarily bad,” Ms. Warren seems to revel in calling out the ultra wealthy, pharmaceutical companies, Wall Street banks and payday lenders. While Senator Kamala Harris courts wealthy donors in California and in Boston, Ms. Warren has sworn off the big-dollar fund-raising events that typically eat up a candidate’s schedule. • She was the first presidential candidate to call for an annual wealth tax on fortunes greater than $50 million. • She has proposed a universal child-care and pre-K program. • She used an appearance in Long Island City, the New York neighborhood that won — and then lost — Amazon’s new corporate headquarters, to promote her plan to break up big tech companies. The trip to the Deep South was intended to promote her most recent proposal — a housing plan that she promised activists in Greenville, Miss., would be “right near the top” of the priority list after Democrats win the White House in 2020. It’s the kind of unconventional, ideas-first approach that liberal Democrats dream about when they picture a progressive presidential campaign. But in a primary field crowded with political celebrities, reality can be a killer. Ms. Harris raised $1.5 million over her first 24 hours as a candidate. Senator Bernie Sanders raised $5.9 million. Mr. O’Rourke announced this morning that he’s raised $6.1 million. Ms. Warren’s first-day haul? Almost $300,000. Members of her team say they have enough money to compete in the early states. They say they expected a slower spring and believe Ms. Warren, a strong debater with serious policy chops, could regain steam once the monthly primary debates begin in June. She might be right. She might not be. The Iowa caucuses are nearly a year away, so the one thing she definitely has is time. Want to read more about Ms. Warren? My colleague David Leonhardt had an interesting take in the opinion pages over the weekend on how she wants to remake capitalism. We mentioned four candidates’ first-day fund-raising totals above. Now, those numbers don’t tell us who’s going to win, or even who has the most money on hand right now. But they do offer a way to measure a candidate’s immediate appeal, and they give an indication of the relative strength of their donor rolls. • Senator Amy Klobuchar’s campaign said it raised $1 million in its first 48 hours. • John Hickenlooper, the former governor of Colorado, said he reached $1 million within 48 hours. • Jay Inslee, the governor of Washington, brought in $1 million in under three days. • Pete Buttigieg, the mayor of South Bend, Ind., announced that he raised more than $600,000 in the 24 hours after his televised town hall event on CNN. • Andrew Yang, a former tech executive, said last week that he had raised $350,000 in March, surpassing the threshold of 65,000 donors required to participate in the first Democratic debate. • Experts say President Trump’s plan to fight AIDS is sound. But following through will be far more expensive than the proposal says, and will require courageous leadership from every statehouse and city hall in the nation.